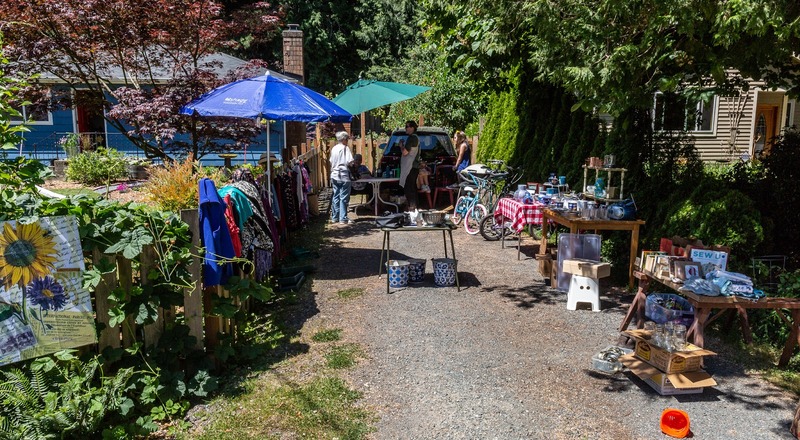 Rob Oxford mused on the difference between garage sales and yard sales but it appears that many of the participants in the Ridgecrest Garage Sale day opted for a third venue - the driveway. 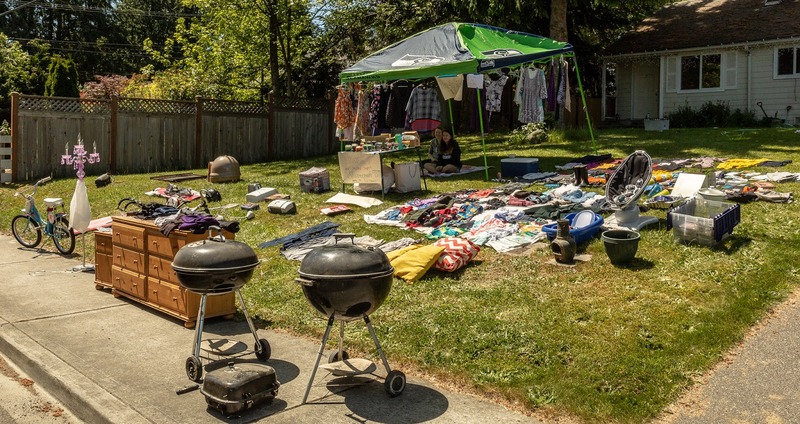 The Ridgecrest Neighborhood Association encourages Ridgecrest residents to all hold their garage / yard / driveway sales on the same day, this year June 2nd. The Neighborhood registers the sale locations and creates a map which is available to hand out at every sale. They collect a small fee from each sale location. Shoppers have the advantage of a number of sales in the same area with a map to find them. Shoppers get treasures and bargains and sellers get a little more space in the garage. If the sun shines - everyone's happy! 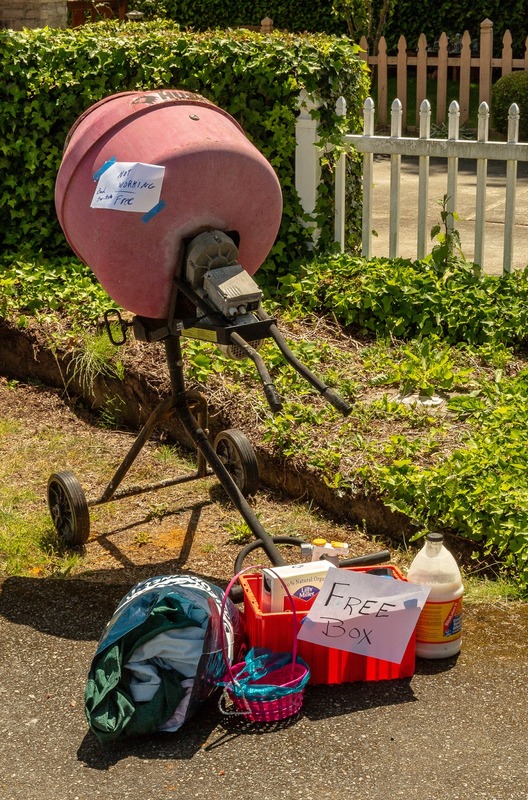 Ridgecrest Neighborhood Association dues not collect a "small fee" as stated in this story. The organizing effort has been and continues to be for the benefit of our neighbors.